The hob's Vertical Flame burner enables you to fry, sauté, boil and simmer as effectively as a professional chef. It minimises heat losses, allowing you to save valuable energy. 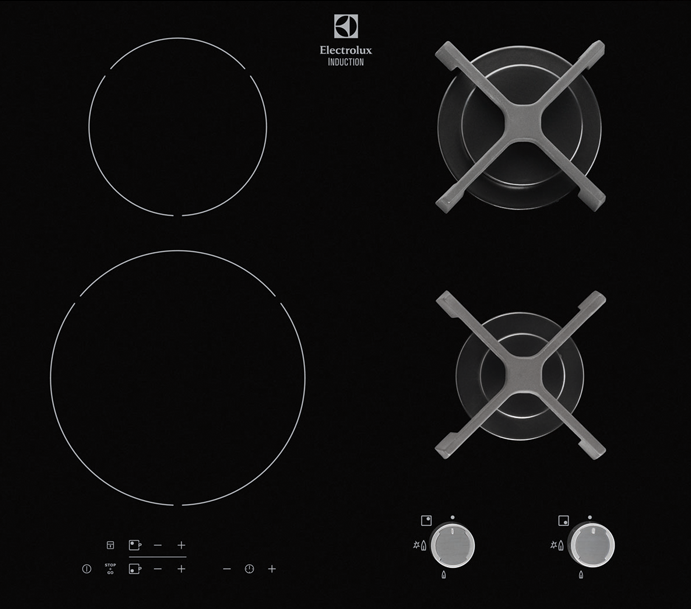 With this combination hob, you have both induction heat zones and gas burners, so you are free to use different energy sources.